How does a £500 gift voucher to spend on yourself with a personal shopper experience and a glass of prosecco sound? If this is right up your street, then we have the perfect competition for you. All this week on Q Breeze, to celebrate the launch of Hobbs Clothing at Moores of Coleraine, we're giving Q Radio listeners the chance to win this amazing prize. To win, tune in to Gareth Stewart from Monday- Friday at 1-4pm. 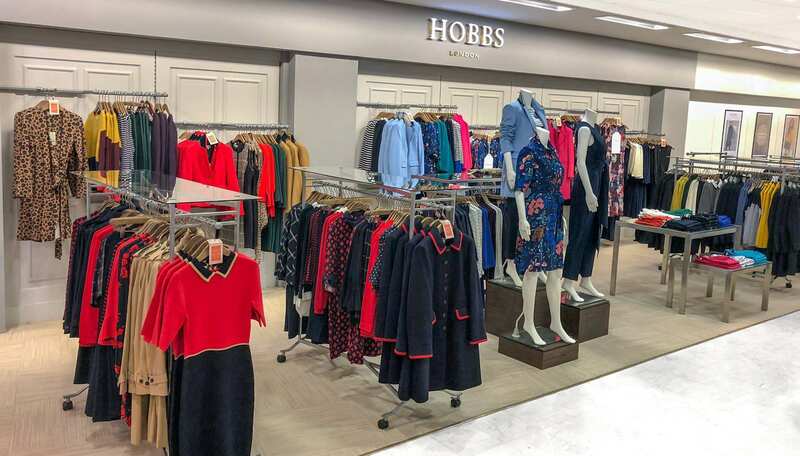 Moores of Coleraine, already home to leading men’s and women’s fashion brands, has just added Hobbs Clothing to their women’s fashion floor. This is an exciting step for Moores and Coleraine as the Autumn Winter 18 collections from Hobbs combine playful prints and autumnal hues to create beautifully crafted pieces for the modern woman. Hobbs launched instore on Wednesday 12 September, with an official launch event on Saturday 15 September. Our very own Q Breakfast host Cate Conway has had a preview of the new range instore. Check out the video below. Customers can browse and enjoy the autumn-winter collections whilst enjoying complimentary drinks and nibbles at the official launch on Saturday 15th September. The brand will be located on the first floor. Discover the brand here. Moores is one of the largest independent department stores in Northern Ireland, housing 42,000sq ft of retail space in a landmark building in the centre of Coleraine. Moores launched their website in February 2018, which offers home delivery or an easy click and collect service. Moores’ womenswear department showcases an extensive range of brands including Tommy Hilfiger, GANT, Joules, White Stuff, Mint Velvet, Phase Eight, Part Two, Dorothy Perkins, Wallis, Oasis, QUIZ, Miss Selfridge and Monsoon.